Kwara Labour party governorship candidate declares support for President Buhari – Royal Times of Nigeria. The Labour Party governorship candidate in Kwara State, Comrade Issa Aremu mni has thrown his weight behind the re-election of President Muhammadu Buhari, as over one point three million members of state chapter of the Nigeria Union of Tailors (NUT) and faith based organizations pledged to cast their votes for him and President Buhari during the forthcoming general elections. 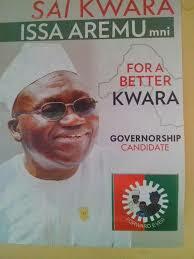 Aremu disclosed this at a press conference in Ilorin attended by my mass members of Kwara Labour Party. 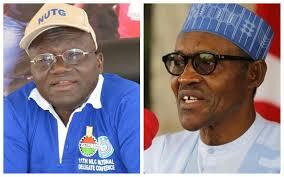 Aremu who is the General Secretary of the National Union of Textile, Garment and Tailoring Workers of Nigeria (NUTGTWN), urged on hundreds of thousands of the tailors in the state to vote for President Buhari, noting that the presidents has been widely endorsed on account of his integrity and frontal fight against corruption. He commended the president who despite opposition by some governors remained steadfast in setting up the tripartite minimum wage committee, in respecting the outcome of negotiated thirty thousand naira.